I have soap by every sink. I think most people do. But that means 4 soap dispensers which could lead to a lot of waste. 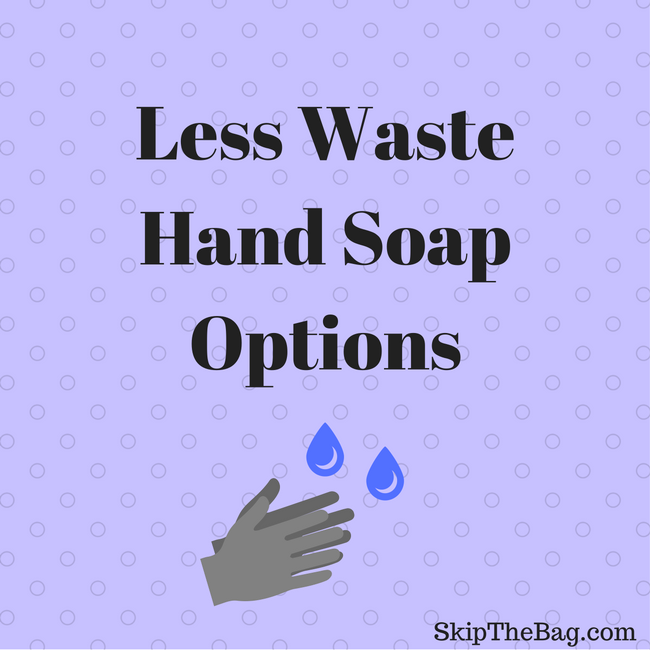 So what are some less waste ways to have hand soap? This probably would produce the least waste. You can likely find soap that isn't packaged or minimally packaged with paper or cardboard. However I find that a bar of soap usually needs a soap dish and I don't have any these. And, unfortunately, many of soap dishes are plastic. For years this is what I would do. I bought a plastic disposable dispenser to use. Then when it was about to run out I'd go and get the largest container of hand soap I could find. From there I would refill each container. It uses far less plastic than purchasing dispensers every time they run out. When I was in Hawaii someone taught me how to make your own foaming hand soap. All it needed was the "special" foam dispenser. She said that there was a particular brand that would fit in a mason jar. That's all I needed to hear. So of course I went hog wild in the Bath and Body Works store buying many more hand soap containers than I would ever need. And, of course, that is NOT the brand that fits in mason jars. Oh well. So instead of using them for mason jars I've just be refilling the Bath and Body Works jars. What is the recipe for refilling a foaming soap dispenser? Fill the bottom of the container with liquid Castile soap. Then top off with water. Seriously it's that easy. A little goes a long way so you might be surprised how little soap is actually needed, I would say less than 1/8th of a container. But if the foam doesn't feel quite hearty enough, just add some more Castile soap to the mixture. If there is a particular scent you want you can add some essential oils or use scented Castile soap. An added bonus some places refill Castile Soap containers so that would be waste free. Update: A reader gave me this life changing tip: Fill the container most of the way with water and then slowly add the Castile soap. This helps prevent foaming and bubbles. Such a no-duh moment, but it's a game changer. Of course you don't have to start with a disposable soap dispenser. There are many options available that are intended to be reusable and durable to last a long time. So if you find one you love you can have it and refill it for years to come. What do you use for hand soap? 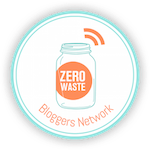 Looking to reduce your waste in the bathroom further? Read about 5 simple plastic free swaps for the bathroom. Or maybe you think you're ready for the advanced plastic free swaps for the bathroom. 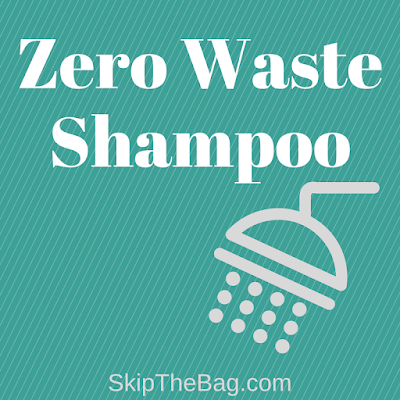 Either way check out the 7 zero waste shampoo methods. I read your blog posts in the last hour. I really enjoy what you are doing here.Thank you for helping people get the information about hand soap.hand soap refill bag they need Keep up the great work!!! I love refilling the foaming soap dispensers! I estimate that it saves us 1/3 of the cost even when compared to the cheapest, nastiest ready-to-use soap, and it is so easy to do! TIP: Put in the water first, then the soap. Then you don't have bubbles overflowing the bottle making it hard to get the lid on. Mind blown! Of course you should add the water first. Duh! Thank you so much for this lifesaving tip!! Bar soap works great. I feel like I'm being pampered with my foaming hand soap though.